When Arizona Judge Bruce Cohen dismissed the case against Tabitha and Jeff Shoars on April 6, 2016, the family thought that their nightmare with Arizona DCS (Department of Child Safety) was over. They moved to Las Vegas, Nevada, to try to rebuild their lives and heal from the trauma of being separated for 600 days. They were happy. Laughter once again filled their home. The children began school in their new neighborhood. The children welcomed home their new baby sister this week, on Tuesday, August 23, 2016. Due to some complications at birth, Nevada social workers investigated the family, but found nothing wrong. However, while the local social services found nothing troubling about the family, Arizona social workers showed up with local police, and within 10 minutes were transporting the children back to Arizona based on the same charges that had already been dismissed. 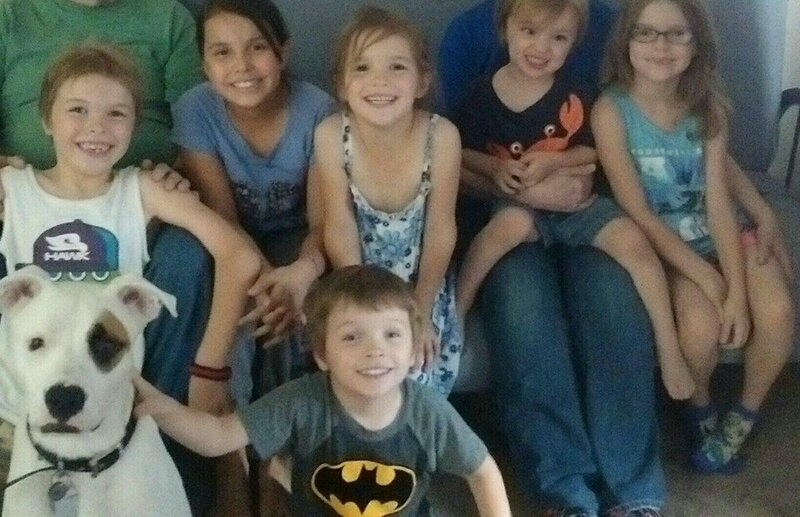 Terrorized, the children began screaming and trying to get away, as some of them had allegedly been abused in Arizona foster care, and they were horrified as they were being forced to go back to the same foster home. The local police stood by and not only allowed this to happen, but participated by restraining the children and parents. The parents Jeff and Tabitha are stunned, wondering how local Nevada police could honor a social services order from another state, allowing them to take away their children so easily? Well, apparently they have decided they will call and call and then send paperwork directly to a judge and got the 9 month old baby taken, and they have court on the 8th of June. This is insane as they are supposedly over worked and can't take care of the cases they have, but they have time to harrass this family in another state. Bob Ortega of the Arizona Republic just got grants to do stories on families and issues with DCS, but the usual story of how over worked they are and how they don't have enough foster homes, but they can arrive at a parent's house at 3am and remove kids for no reason, absolutely no reason....they are truly the terrorists here. I find it shocking that this family would even open their door for these scumbags. It is a civil paper from an Arizona court. Has no legal standing in Nevada. I also found it shocking that any peace officer would serve such a paper. The only way for this event to have taken place legally is if it was a federal order, and then these folks would be given an opportunity to appear before a judge and oppose it. We live in a police state (Arizona and now Nevada). DCS in Arizona is on a feeding frenzy to feed the corporate welfare system run for the benefit of cronies of the Governor. These people are cursed with handsome children, which are fresh meat for the foster care racket run by private corporations in Arizona. They steal 40 kids a day without court orders. That's kidnapping. With the Pizzagate and the International Pedophilia rings being exposed. The Use of the CPS has been brought into question on how these Rings are being supplied with the product ie Children. I would think those CPS agents are advance agents for these Evil men. I think this needs to be broadcasted as far as possible. Daylight investigations must be started. How many other families have these same CPS agents terrorized? These people are wicked, wicked, wicked. No one in their right mind separates children from loving parents like this. This is outright diabolical. Tried send letter to Governor, but page froze & my cursor acted crazy, all prevented weirdly! The ghouls, evidently, are out to control our communications. I wonder if those CPS workers get an additional bonus when they cross state lines...all at taxpayers expense of course. FIND THESE CRIMINAL, DEVIL/ GESTAPO CPS agents from Arizona, cuff them, jail them - then try, indict, sentence and punish them for TERRORISM. What shocking and DESPICABLE ABUSE, damage, trauma and MONSTROUS and INEXCUSABLE EVIL these GREED-DRIVEN, CRIMINAL COWARDS have worked against these children and their family. Their unconscionable works of TERRORISM, grotesque INJUSTICE, and ABUSE ARE DEFINITELY AT THE LEVEL OF ORGANIZED CRIME and WAR CRIMES. The Arizona CPS agents involved in these HIDEOUS INJUSTICES DO BELONG BEING IMPRISONED, long term, AS KIDNAPPERS, EXTREME CHILD ABUSERS, TERRORISTS, and other extreme human rights violations. In any case, they will be forced, by God, to a hard accounting with Him - for their deplorably evil actions - soon.